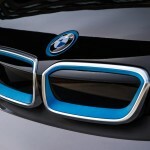 Today marked what BMW hopes was a momentous day in its history, and especially the era of the electric vehicle. 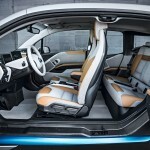 In a high stakes bid for electric vehicle supremacy, BMW unveiled the production version of the electric i3 hatchback – the first of what the German automaker promises will be a complete range of alternative drive models to be sold under its new ‘i’ brand. Simultaneous presentations in London, New York and Beijing were witness to the reveal of the innovative and much anticipated electric car. Unlike most cars today, the production version of the contemporary-styled hatchback managed to stay true to the concept displayed at the 2011 Frankfurt Motor Show. 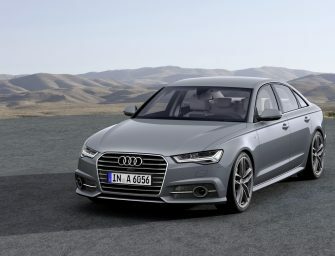 The most prominent change from the concept came in way of a five door bodystyle in place of the original three door arrangement, for obvious added practicality and ease of entry to the rear. 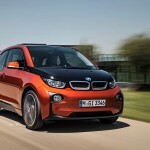 The i3 will go on sale in the US for $41,350 in the second quarter of 2014, exclusive of any state or federal incentives that could lower the price or the $925 destination fee. 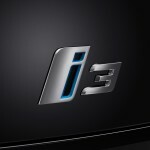 The i3 will be available with three trim levels at launch, which BMW is calling ‘Worlds’: Mega (standard in the US), Giga and Tera. 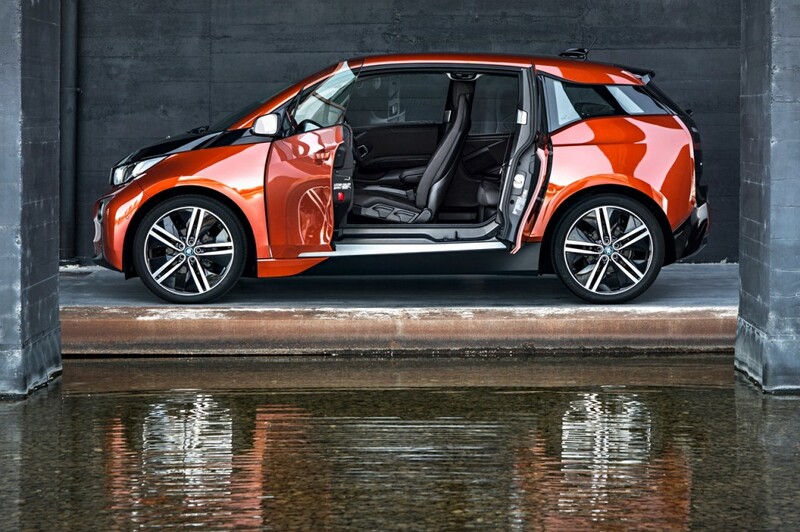 The BMW i3 is truly revolutionary, with tons of new technology, probably because it was designed as an electric vehicle right from its conception. 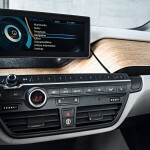 This has resulted in a vehicle layout unique to the i3, which the Bavarian manufacturer calls ‘LifeDrive‘ architecture. 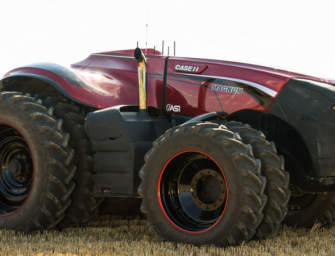 It features components called the ‘Life Module’ and the ‘Drive Module’. The Life Module is the i3’s pillar-less passenger cell, and is all set to become the first mass-produced monocoque made of carbon fiber reinforced plastic (CFRP). 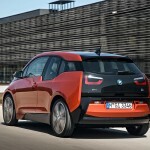 The tougher-than-steel material, usually seen only on very expensive supercars, is 30-percent lighter than aluminum, which results in the i3’s relatively light weight of approximately 1,200 kilograms. The Drive Module is basically a 100-percent aluminum chassis which is mounted under the Life Module and houses the hatchback’s powertrain. 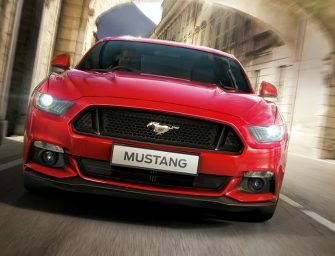 The 22-kWh, 250-kilogram lithium ion battery is mounted as centrally as possible to optimise vehicle dynamics, and provides power to a rear-mounted synchronous electric motor which drives the rear wheels. 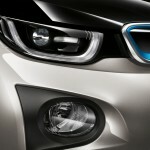 The in-house produced unit, known under the BMW eDrive banner, provides 170 horspower and 25.4 kgm of torque. 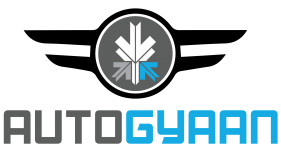 This translates to a 0-100 km/h time of about 7.0 seconds, but a relatively low top speed of only 150 km/h. Drive is sent through a single ratio gearbox mounted to the end of the electric motor, offering the choice of three driving modes: Comfort, Eco Pro and Eco Pro+. 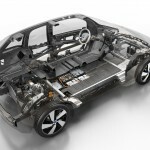 The lithium ion battery is produced by Samsung and bears a warranty valid for up to six years or 1,60,000 kilometres. It consists of 96 individual cells mounted within the flat floor structure and has been designed to allow the replacement of damaged cells on an individual basis. 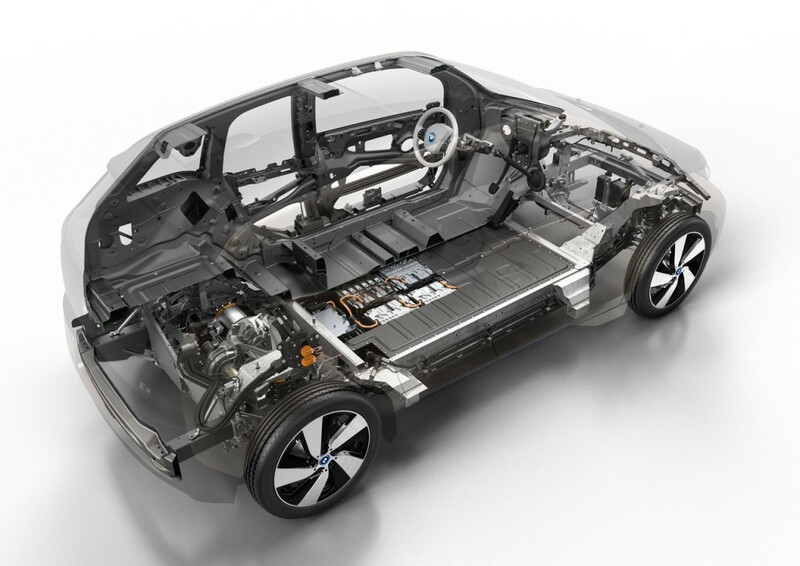 BMW has mounted the battery as low as possible in the i3’s carbonfibre structure as possible, allowing a claimed centre of gravity lower than that of the BMW X1 compact SUV. 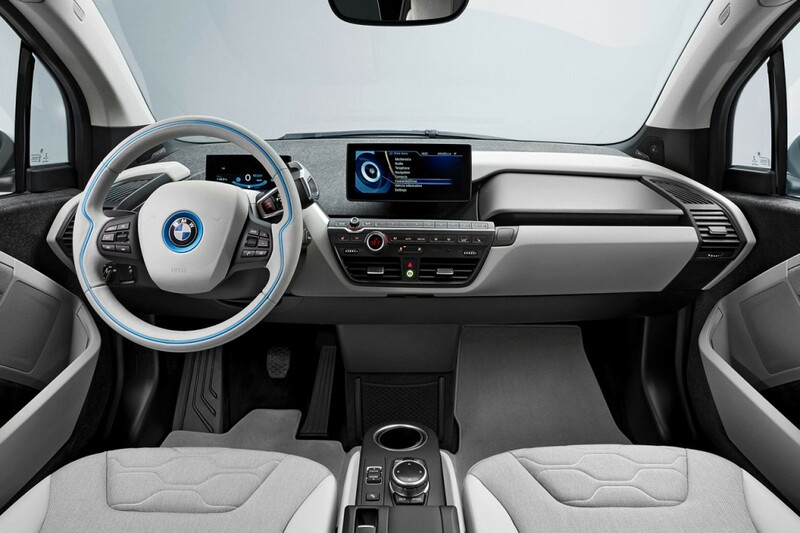 According to BMW, the i3 has a real-world range of 130-160 kilometres, and the standard charger can fill the battery in three hours. 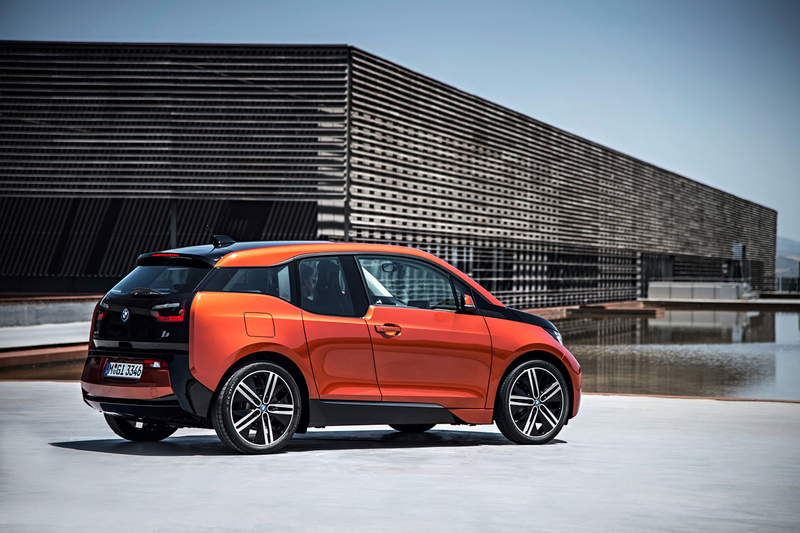 However, if you go for the optional SAE DC Combo Fast Charger, you get 80% charge in 20 minutes and a fully charged BMW i3 in half an hour. 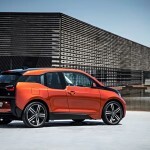 If the range is an issue for you, BMW provides the option of a 34 horsepower, 650cc two-cylinder generator as a range extender for the electric drive system. 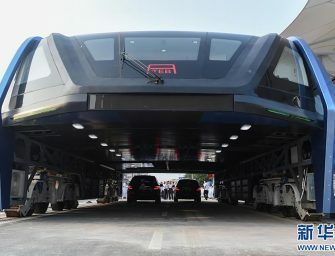 The attractive little car was conceived under the working title of Mega City Vehicle, in order to focus attention on its suitability for urban driving. 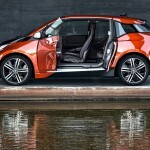 Reportedly, BMW has spent up to €2 billion (over Rs 15,000 crore) in research, development, testing and production processes for the new four-seater. 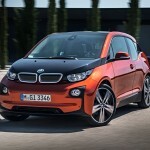 At first glance, the BMW i3 seems to be properly revolutionary. Technologically marvellous, and visually very appealing, it may become the first real mainstream electric vehicle, in history. Check out some pictures of BMW’s new electric hatchback, and let us know what you think in the comments below! 2015 Facelifted Nissan Sunny Leaked?